IBEW Local 300 has partnered with Vermont Works for Women, the United Association of Plumbers and Pipefitters Local 693, the Center for Technology Essex and the Hartford Area Career and Technical Center to offer 8 weeks of free hands-on training to women who may be interested in joining the construction trades. 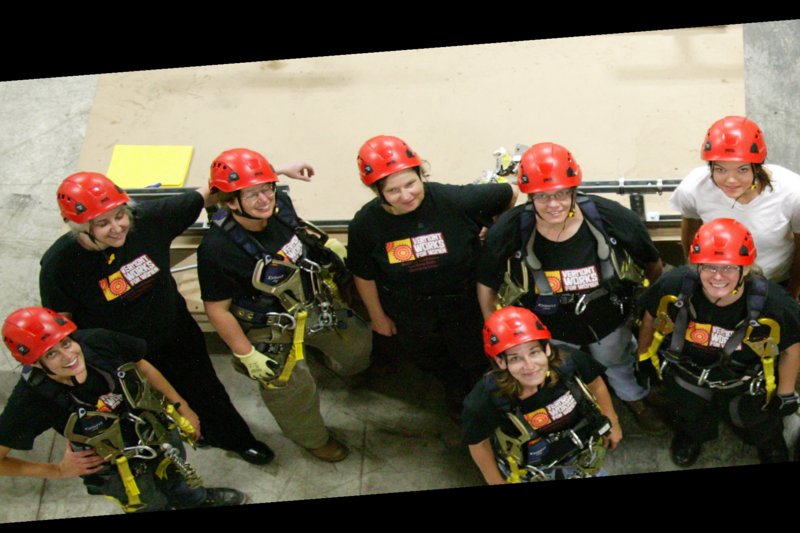 The Trailblazers: Women in the Construction Trades program prepares women for jobs and apprenticeships in reliable high paying work in construction, electrical, plumbing and pipefitting. The trainings provide a safe, non-judgemental environment for women and gender non-conforming individuals to build skills, gain confidence and explore fields that tend to be male dominated, but where research shows time and again women have equal abilities to thrive and succeed. Trailblazers is available to individuals 16 years or older, No Experience Necessary! 8 weeks of free hands-on training (held on evenings and Saturdays) covering core construction, electrical, plumbing and pipefitting skills, led by women. All necessary materials, tools, and clothing so you're ready to go on the job! contact Missy at mmackin@vtworksforwomen.org, 802-655-8900 x503 or visit Trailblazers.